TechnoServe has been playing a leading role in supporting new agribusiness ideas in Zimbabwe since 2011. With support from the U.K.’s Department for International Development (DFID), the Agro Initiative Zimbabwe (AIZ) project seeks to develop the agro-processing and agriculture sectors by supporting innovative medium-sized agribusinesses that are committed to integrating smallholder farmers in their supply chain. Businesses are identified through a business plan competition model, and winners receive seed capital and technical assistance to grow and expand their businesses. In order to ensure that AIZ achieves sustainable economic development for both men and women, the project incorporated an explicit focus on gender equity during an expansion phase launched in 2014. AIZ set gender targets to work with 40 percent women-led businesses and women smallholder farmers by 2016. Access to land – Land in Zimbabwe is typically owned by community leaders and is allocated to family members for arable farming and settlement. Due to a myriad of formal legislation and customary practices, few women have been able to own communal land in their own right. In fact, women are more than 50 percent less likely to own land than men. Without control over land, women have less bargaining power in the household and within their community. Access to productive assets – Women typically have lower levels of farm productivity due to their lack of access to productive assets (such as land, cattle and equipment) and resources (such as training and extensions services). Access to markets – Women are limited in accessing markets due to small production volumes, lack of access to transportation and smaller networks. Societal perceptions and attitudes towards women farmers also act as a barrier as women are often subjected to both physical and verbal abuse in public markets. 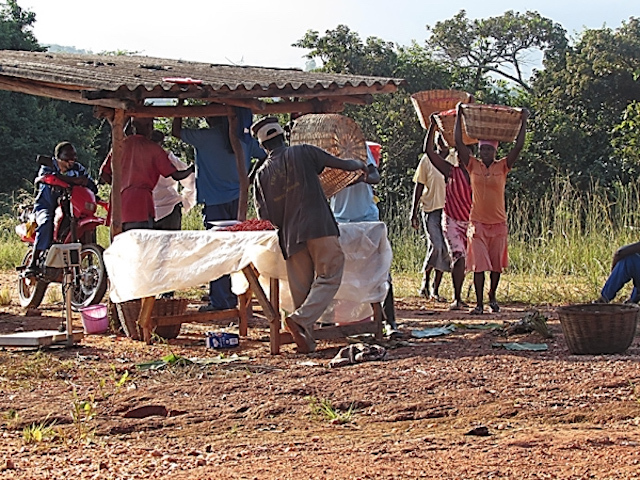 As a result they often sell their produce to private traders, with little bargaining power. Access to finance – Due to their lack of assets to use as collateral, women have difficulty accessing the credit they need to purchase inputs, such as seeds and fertilizer. Access to information – The FAO estimates that women receive less than 10 percent of extension services and agricultural training, decreasing their knowledge about good agronomic practices. They also lack information regarding available financial services and proper business management techniques. As part of the efforts to address the above challenges and increase gender equity for the businesses and smallholders that AIZ works with, TechnoServe identified several key practices and recommendations. AIZ trained business partners on gender equity issues, and encouraged them to monitor equitable access to assets and adopt practices that support an inclusive work place. Businesses improved their procurement models to allow farming contracts for both men and women in a single household, and to enable farmers to sell produce closer to their homes. Extension services were tailored to women’s routines and needs, and the number of female extension agents increased to ensure gender-sensitive delivery. Demonstration plots were established within villages and companies rolled out women-friendly field days. Businesses were encouraged to provide technical assistance to both husbands and wives, promoting joint decision-making in the household. Sensitization training highlighted the benefits of increasing gender equality, such as decreasing financial risk when the household’s breadwinner dies. By implementing these practices, AIZ was able to exceed its gender targets and help create more economic opportunities for women. The program has supplied over $339,000 to women-led businesses, which comprise 42 percent of business partners. In addition, 28 percent of employees at partnered businesses are women, and 48 percent of the smallholder farmers involved in AIZ businesses are women, exceeding the project’s 40 percent gender target. Established in 2009, Better Agriculture Private Limited is a leading agribusiness that contracts smallholder farmers to grow crops such as chili peppers and peas. This “outgrower” model links smallholder farmers to secure markets, while providing technical and logistical support, including disbursing loans financing for inputs and delivering extension services to the farmers. The company recovers the loans and services it advances to farmers through higher yields and better quality produce. Better Agriculture currently works with 1,174 smallholder farmers, 68 percent of which are women. Alice Sakubende is one of the farmers who grows chilies for Better Agriculture. She lives with her husband Cephas in Muterere, a village in Zimbabwe’s Honde Valley. Their marriage is one of many unregistered customary law marriages, which allows men to have more than one wife, but affords women only limited rights when it comes to divorce or inheritance. Initially, it was Cephas who signed the chili contact with Better Agriculture and was supplied with $150 worth of inputs to cultivate one-fourth hectares. Despite the fact that his wives were mainly responsible for farming, Cephas was the one who received the training. What little income was produced by their harvest was deposited directly in Cephas’ account, leaving Alice with little access to household income. 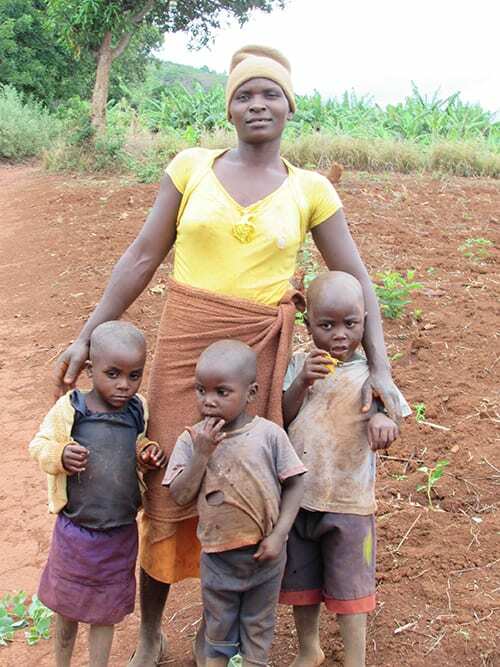 As a result, many of the financial decisions made did not benefit Alice or her four children; her husband even failed to pay their children’s school fees. Although women across rural Zimbabwe play a key role in agricultural production, they have limited or no control over productive resources. The key constraints Alice faced – a polygamous arrangement and a lack of access to economic assets – are ones that condemn many women in similar circumstances to a life of abuse and poverty. These circumstances would shift for Alice, thanks to Better Agriculture’s decision to shift its business model. Working with TechnoServe through AIZ, Better Agriculture made a decision in 2012 to allow multiple contracts within a single family. This enabled Alice to sign her own contract with the company. Alice asked her brother-in-law to lease some of his idle land, and she received seeds and inputs to begin chili production. That year her yield was 800 kilograms, but using techniques she learned in Better Agriculture’s trainings, she nearly doubled her yield two years later, harvesting 1.4 tons in 2014. Even while attending trainings and tending to her own crops, she still managed to fulfill her duties to her family’s farm. Better Agriculture’s model ensured that Alice could access a market and receive a fair price for her product. Because the company places collection points deep in rural areas, Alice and others can avoid the typical challenges women encounter in bringing produce to market – traveling long distances, incurring costs for loading and unloading, and facing harassment. In addition, the company disburses payment directly into the women’s accounts using a mobile-enabled solution, which allows them to have control over their finances. Gaining control over the proceeds of her chilies has allowed Alice to make sound economic decisions and invest in her children’s future. 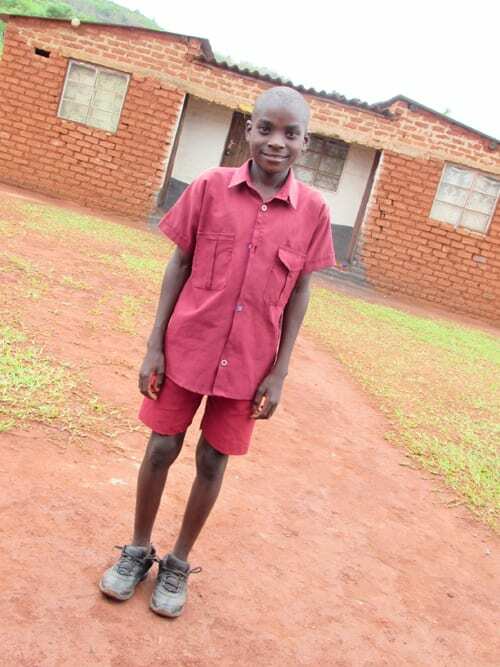 Alice is now able to pay their school fees on time, buy clothing and household goods, and was even able to build her own house. She has also joined a savings club. With advisory support from Agro Initiative Zimbabwe, Better Agriculture adopted a model that incorporates inclusive procurement methods to give women like Alice independence over their own finances, creating a better future for the women and their families.